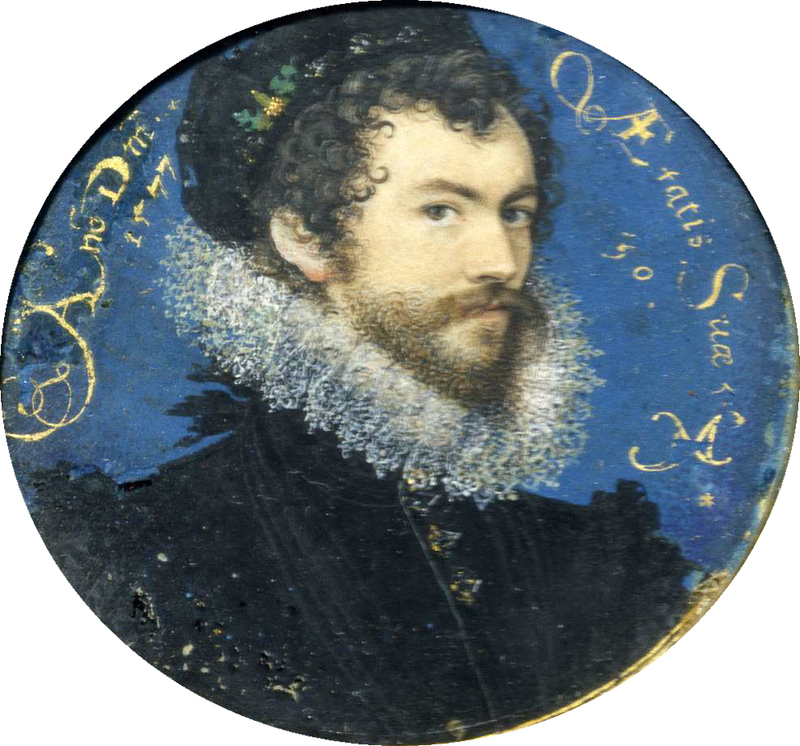 The great miniature painter Nicholas Hilliard declared that his method of art ‘excelleth every other art form whatsoever.’ Miniature painting or ‘limning’ held a far more interesting position in the Elizabethan world than traditional painting. The pieces were jewel-like works made with precious metals. 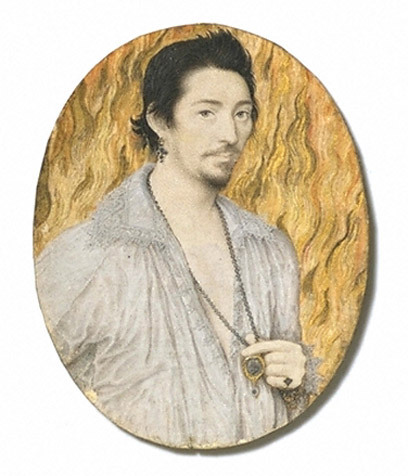 One example in the V&A shows a lady’s pearl necklace painted in real silver. This came at a time of artistic decline after the great patronage of Henry VIII when Elizabeth’s reign saw many artists struggle. Protestant immigration from the Netherlands brought with it many painters who angered many artists in the City of London who petitioned the mayor to place controls on imported art. Hilliard, the son of a royal jeweller, was naturally keen to distance his craft from these exquisite canvases. The miniatures themselves held a new space in cabinets next to the bedrooms of the aristocracy, right at the heart of their households. Patricia Fumerton suggested a penetration metaphor to describe how visitors viewing a miniature would be brought to a host’s most intimate space to view portraits of loved ones.